For many people, affording medications is a difficult hurdle to overcome. New medications tend to be expensive and may not be covered by insurance. 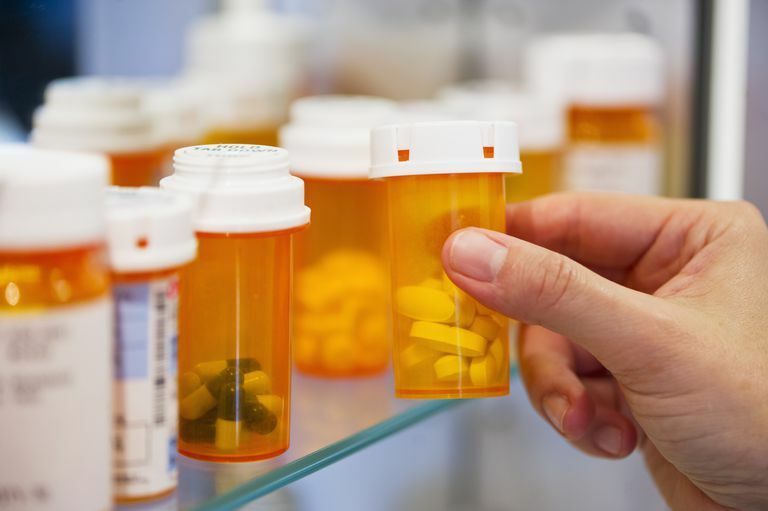 Even when drugs are covered by insurance, the copays can add up quickly, especially for people with inflammatory bowel disease (IBD), who may take several medications or medications that are patented and do not have alternatives available. Fortunately, there is hope when you can't afford your drugs. It will take work on your part, but it is preferable to the alternative which is going without your medications. Is a Generic Version Available? The first step is to determine if you can switch to a less expensive generic version of the drug. It's likely your pharmacist will suggest this if your doctor does not. However, if neither of them mentions it, don't be afraid to ask. They have many patients who are on a budget, and they will understand. If the medication is too new for a generic version to be available, you can contact the company that makes the drug directly. They don't broadly advertise them, but many companies have drug assistance programs available. This may take some detective work on your part, as you will need to find out the name of the company which makes the drug, and get a phone number for patient-related concerns. A company that can help with finding the name and number for the pharmaceutical company is needymeds.org. They maintain a database of companies categorized by the drugs they produce. You can search this list and get an address, phone number, website, and other information about drug assistance programs. Often these drug assistance programs work with the cooperation of the patient, the physician, and the drug company. Your doctor may need to call the pharmaceutical company and fill out one or more forms. Again, don't be afraid to ask for this assistance. Your healthcare team is there to help you get the care you need, and they would rather fill out some forms than have you go without the drugs necessary to manage your condition. Another option is to apply for Medicaid. Medicaid is described as "a jointly-funded, Federal-State health insurance program for certain low-income and needy people." Criteria for acceptance into the Medicaid program is not based on income alone and varies by state. You will want to contact the ​agency in your state to help you determine if you qualify and if your prescription medications will be covered. Does Your State Have a Drug Assistance Program? Some states offer their own programs to help cover the cost of prescription drugs. These State Pharmaceutical Assistance Programs are available in about 30 states. The National Conference of State Legislatures maintains a list of contact information (including web sites) for these assistance programs. In some cases, a pharmacist may be able to give you a few doses of a prescription to hold you over until you can get a written prescription from a doctor. This is not something to rely on, but it doesn't hurt to ask your pharmacist if this is something they can do for you if you get in a pinch. This, obviously, will not be possible for controlled substances or for high-cost medications, but may be possible for common, lower-cost drugs. And last, but not least, ask your doctor if he or she has any drug samples. Pharmaceutical representatives visit doctors' offices on a regular basis. They often leave samples of their drugs, sometimes even drugs that are new or are prohibitively expensive. Your doctor may have policies regarding who can receive these drugs and when. Obviously, using doctors' office samples is not sustainable for a long period of time, but a few samples might be able to hold you over until a real solution is found.